Episode 003 features an interview with Elizabeth Díaz DePew, painter and Study Abroad & International Programs Director for the College of Liberal Arts at Purdue University. I've known Elizabeth for years and have always enjoyed her work. This interview comes at an opportune time, as her recent paintings are on display at Tippecanoe Arts Federation through this Friday, July 21. Be sure to get to TAF this week to see them, and make sure to come out for a closing reception this Friday from 6 – 9 pm, as part of Gallery Walk in downtown Lafayette. Information on events at TAF can be found here. 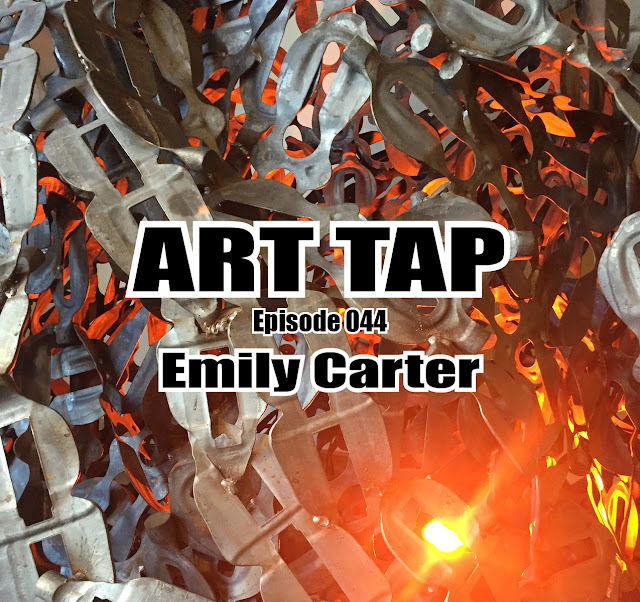 I want to thank Elizabeth for being my second interview guest on the ART TAP podcast, and for sharing with us her commitment to the practice of painting. Elizabeth’s website can be found here. I also mentioned an article I recently found on a blog called Hyperallergic on a painter named Daniel Heidkamp. Information on Heidkamp’s plein air series of travel paintings can be found here. This week's "Look Up" was mentioned in Elizabeth's interview. The book "The Daily Practice of Painting" by Gerhardt Richter is one she references and goes back to frequently. For those interested, the book is available here. Check out this episode! And please check out the links to our guests and discussions. Remember to find/like/follow us @ArtTapPodcast on Facebook, Twitter, and Instagram.